The holiday season is a time for family and friends, for feasts and treats, and for long cozy evenings inside. Mostly, we tend to think of specific family traditions this time of year – perhaps a gift exchange with your family, or a Christmas lunch with close friends. But while you take a few days away from work and enjoy the company of loved ones, there can also be a lot of downtime. For instance, the hours after Christmas lunch are usually set aside for quiet, content digestion, and the next day or two are often largely free, for many of us. There are plenty of ways to occupy this holiday downtime. You might go out with your friends and family to see a new film (there are some excellent looking ones coming to cinemas this December). Or you might pick up a new book to read. It’s also a nice time to play some games together as a family, however. 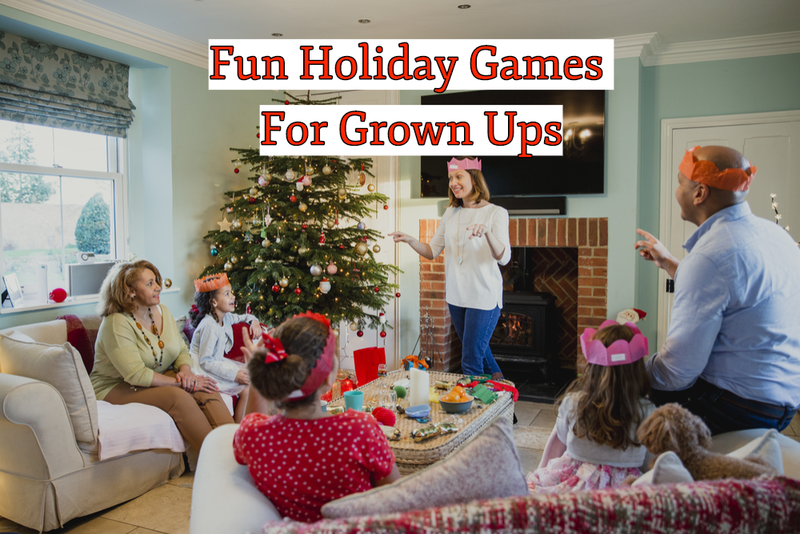 I thought I’d recommend a few options for fun holiday games for grown ups. Pictionary is always a really fun game to play with family or friends, once you get going. Everyone participates, the games go quickly, and there are usually a lot of laughs along the way. And perhaps best of all, there’s nothing stopping you from imposing your own theme on the game! One outline of 30 Christmas party games specifically recommended Christmas carol Pictionary, in which you have to guess the name of the Christmas carol your partner is trying to illustrate. That same idea can apply to all kinds of holiday ideas, however, if you happen to tire out the carols. 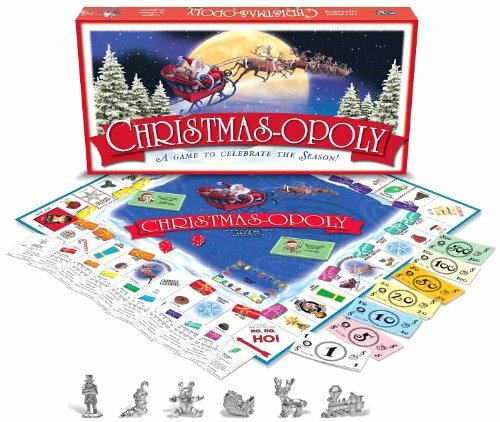 There seems to be a Monopoly game for just about every possible theme, so you can bet there’s a “Christmas-opoly” game out there. It’s always a fun game with a close-knit group, and you can also keep it going for a while, perhaps leaving the game board open on a coffee table and coming back to it for a few days in a row. Poker is a classic card game, but there’s a reason it has many varieties and, in online spheres at least, endless themes. As an article exploring poker alternatives put it, it can be nice to mix up your playtime with some variety. So why not design a holiday version of the game? The easiest way to do it would be to replace poker chips with candies or small cookies of varying “values,” such that you and your family or friends can play real poker with real betting, all revolving around holiday treats! “Secret Hitler” doesn’t sound like the most appropriate holiday game. If you can get past the title however, this is one of the trendiest party games around. You can play with anywhere from 5-12 players, and while the rules are complicated to explain they’re easy to get the hang of once you start. It’s a game in which you and your teammates (who may or may not be known to you) attempt to identify members of the opposite team, or the one player designated as “Secret Hitler,” and it’s largely played through deception, alliances, and the like. It’s a terrific social game, and like Pictionary it always results in a lot of laughs. This article has kept away from video games until now in favor of more traditional family and party games. If there is a great video game for families, however, and if you happen to have a Nintendo around, Mario Kart is the game to play. The latest version of the game is already receiving strong reviews on the latest console (the Nintendo Switch), but even dusting off an old Nintendo 64 and the original Mario Kart game, if you have them lying around, can make for a fantastic time. It’s playful competition at its best.